We stayed at Casa Cecilia four years ago on our first trip to Patagonia. Back then, our impression was of a clean, comfortable place with friendly service. Fortunately, this time around our experience matched. The place is neither a B&B or a hostel but instead a simple guesthouse. The rooms are all private, some with shared bathroom, a few have en-suite. Breakfast is included for all and is a step above with home baked bread. The rooms are comfortable and basic, more European in style than Chilean. Both the bathrooms and the rooms are spotless. Showers are piping hot with good pressure. The owners are extremely helpful with any information you need to get into the park or about the town, including restaurant recommendations. They speak German, English and Spanish. If you need any activities organized for you, they are happy to arrange it all and will store your luggage securely for free. They even rent camping equipment-which we utilized. Both the tent and sleeping bag we rented were brand new and of a very high quality. Wi-fi throughout, strong signal and nice common space. Not a young persons party hangout place, mostly couples and a mature clientele. A small kitchen is available to cook your meals/store your food and they even do a food exchange, which is nice if you are trekking and need some salt. Our double room with shared bathroom cost 28,000 CLP per night (US $50, 37 Euros). The price might be higher than others but given the area and the service provided, it’s an exceptional value. 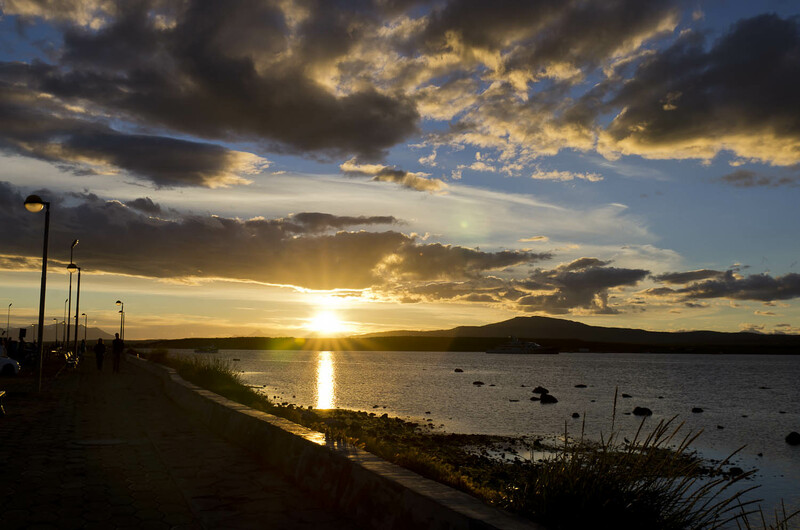 Location is perfect too but Puerto Natales is pretty small and so most locations are okay. Even though it’s a very basic place, I love it here. There is just something real homey about it. For more information go to their website by clicking here.